New Crystals in Our Dictionary! We’ve just added some new entries to our Crystal Dictionary! Chlorite – is a powerful healer and connects one to the earth. It is often used to eliminate toxins, and is a powerful painkiller. 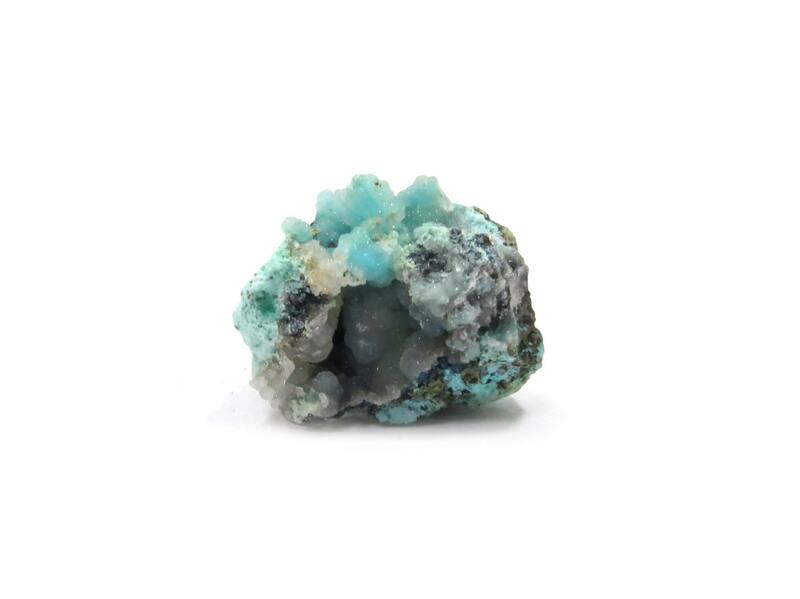 Dioptase – A blue green stone used for healing emotional wounds, moving forward, and love. It has been known to relieve headaches. (Chakra: Heart). Lodolite included Quartz – A clear stone with green, yellow, pink, brown, red, or white inclusions that resemble a landscape. It is used for peace, harmony, healing, insight, mediation, spiritual growth, past life regression, and manifestation. Lodolite has a soft, soothing, gentle energy. Specular Hematite (Specularite) – A black or dark grey stone with what look like shimmering sparkles. It is used for protection, grounding, healing, and finding ones purpose in life. Sphalerite – A sparkling blackish brown stone, which may have hints of yellow, or orange. It is used for protection, stress, confidence, healing, and letting go of unwanted feelings or thoughts. It has been used to strengthen brain functions, treat disorders of the skin, and increase the libido. (Chakra: Root). Sphalerite with Pyrite – It is used for clarity, removing mental and emotional blockages, helps one to find truth, protection, shielding one from unwanted energy, intuition, and improves memory. It has been used to stimulate the immune system and calm nerves.